Structural Problems: What Are the Chances of Having in Your Home?- Armchair Builder :: Blog :: Build, renovate, & repair your own home. Save money as an owner builder. Structural Problems: What are Your Chances? What are the chances your new home building project will have structural problems? This is one of those good questions owner builders frequently ask. Here we will discuss the more common types of structural problems, their causes, and we will give you some statistics relating to their occurrence in homes. A recent article,” Lessons Learned From 10,000 Structural Claims,” by Walt Keaveny (professional engineer) looks closer at the statistics behind structural problems in homes. According to Mr. Keaveny, 25% of all U.S. homes will experience some structural distress at some point in time and of these, five percent will be see major structural problems. Not surprisingly, Keaveny notes that 80% of structural problems are caused by movement of underlying soils which cause movement in the foundation. Soil can expand or settle under a foundation. When this happens, the footing and foundation walls move which can often result in cracking, bulging, and possibly failure of the foundation. There are a couple of things you can do as an owner builder to minimize your chances of experiencing foundation structural problems in your new home project. 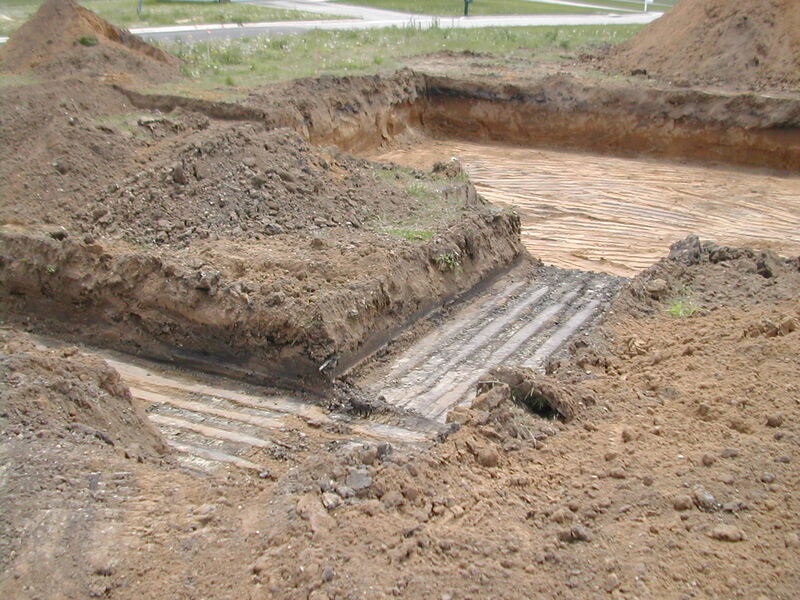 First, you can hire a geotechnical engineer (soils engineer) to review the soil at the foundation location. 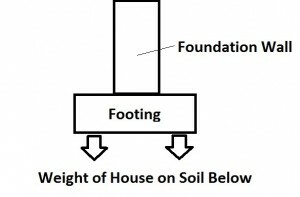 Foundations design is based on a given soil’s load bearing capacity. In essence, the load bearing capacity identifies how much weight the soil can support. This capacity is typically measured in pounds per square foot (psf). So, if the load bearing capacity of the soil at your home’s foundation is determined to be 2200 psf, you will need a 16 inch wide footing to support a two story light frame house with brick veneer (per the 2012 International Code for One and Two-Family Dwellings*). 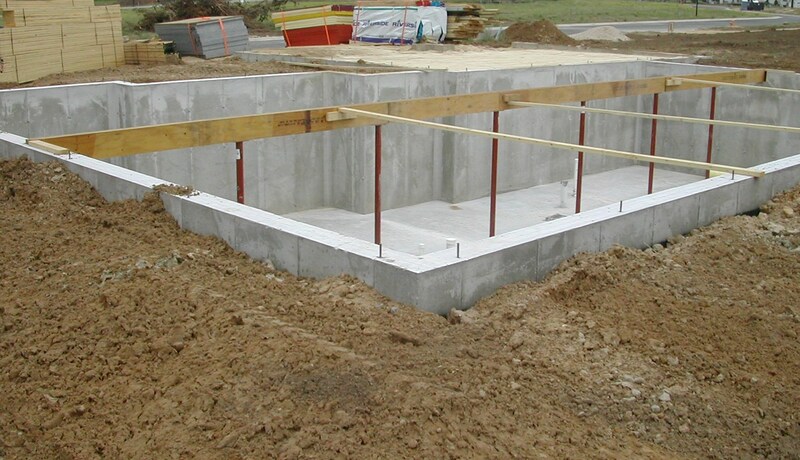 Your architect will specify the footing size based on your house type and soil bearing capacity. It’s a good idea to have a soils engineer review the footing locations after excavating to make sure the soil meets the requirements for your plan type. This review should take place after excavating for the foundation and before forming of the footers. The engineer will use a hand tool while walking the perimeter of the footing area to measure the load bearing capacity of the soil. Checking multiple locations is a good idea as soil can be different from one location to another. So, what happens if the engineer determines the soil on your lot does not meet your architect’s assumed value? You will call your architect to get a revised footing design/size to accommodate the actual soil capacity. 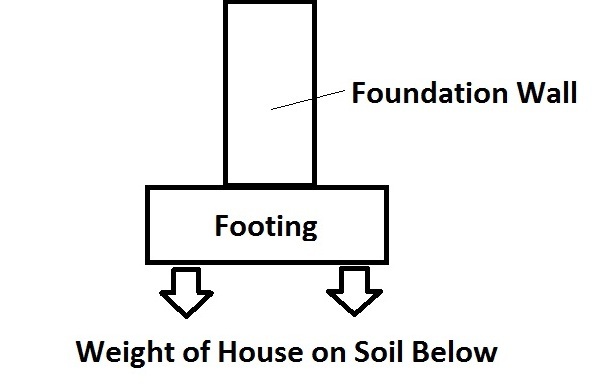 Per the code (2012 International Residential Code), if the soil is determined to have a load bearing capacity of 1500 psf, you would need to increase the width of your footing to 21 inches (assuming a two story home with light frame with brick veneer). By increasing the width of the footing, you increase the surface area which will support more weight. If you don’t increase the width of your footing, your chances of experiencing structural problems go up dramatically. The soils engineer might also note areas in the soil at the foundation location that should be removed and replaced with a more suitable bearing material. You might find a layer of top soil that will decay over time causing uneven settlement. By digging out this section and replacing with gravel/stone, you will prevent future structural problems.To find out more about the soils engineer and his role on your project, check out our video Build Your Own House: The Geotechnical Engineer. One other great way to avoid structural problems in your new building project…get a copy of The Builder’s Daily Construction Guide. In The Builder’s Daily Construction Guide, we note important items to review with the geotechnical engineer at the foundation phase of construction. We also include important quality checks required throughout a new home building project to increase the chances of having no structural problems. You can check see more details of the guide at our ESTORE. *The footing sizes noted above are for a typical situation for a home in the Midwest (U.S.). If your home is in a seismic zone or is located on special supporting material, like rock for example, these sizes are not applicable. 1 Comment for Structural Problems: What are Your Chances?